On the occasion of the Summit to adopt the future Sustainable Development Goals (SDGs) that took place on 25-27 September in New York, we stand on the threshold of two milestones that will shape the road map for local and regional governments: the 5th UCLG Congress in Bogotá and the Habitat III Conference in October 2016, where the future urban agenda will be defined. The UCLG World Secretariat explains the challenges and expectations of local and regional governments in this definition process, which will culminate in Habitat III. The Congress in Bogotá and the leadership of mayors from around the world, in particular Latin America, will be instrumental to the definition of the future urban agenda. 1. What are the challenges of the new global urban agenda? The future urban agenda, or Habitat III, must address the major challenges and opportunities that have arisen from the growth of urban areas. It must deal with a new model of territorial development characterized by rapid urban, demographic and environmental changes. It must include cities' and local governments' contributions to the Sustainable Development Goals. Further, it will need to define a new international governance architecture to monitor the achievement of the urban sustainability agenda. According to data presented by the United Nations, between 2014 and 2050, 2.5 million more people will live in urban areas, and virtually all of them in developing countries. Today, 800 million people live in informal settlements. The future urban agenda will need to find solutions to enable universal access to basic services for this population, to prevent this rapid urbanization process increasing segregation and inequality. Poverty reduction, economic development and adaptation to climate change, as well as the definition of new models of cities and societies based on the protection of the commons and citizen participation in decision-making processes, will all depend on this. 2. What is the reasoning behind Habitat III and the 5th World Congress of United Cities and Local Governments (UCLG) being held in Latin America (in Quito and Bogotá respectively), and what does this represent for the region? Over the past 30 years, the urban population of Latin America has risen from 64% to 80%, and currently represents the most urbanized region on the planet, after North America. According to these growth trends, the urban population could reach 87% by 2025. For these reasons, it makes a lot of sense for Latin America to host these two key events on the global agenda, where the challenges and possible solutions to define future cities will be determined. Both Quito and Bogotá are cities that have been closely linked with the international municipal movement, and hosting the Habitat III Conference and the Congress of United Cities and Local Governments (UCLG) respectively represent great opportunities. UCLG hopes to contribute to strengthening the regional municipal movement in Latin America in the lead-up to the Conference, building on the strong relationships with its members and networks in the region. The Congress in Bogotá and the leadership of the mayors of the region will be instrumental in this regard. The important commitments demonstrated by the current Mayor of Bogotá with regard to the 2014-2015 international agenda are excellent foundations on which a solid agenda for cities and territories for the new century can be constructed. Habitat III will also be a unique opportunity to strengthen the global commitment to sustainable urbanization, focusing on the implementation of a "New Urban Agenda", on the basis of the Habitat Agenda from Istanbul in 1996. The lessons learnt in the cities and local governments in Latin America should be an important reference for the solutions proposed in the agenda. The World Summit of Local and Regional Leaders, the 5th Congress of UCLG will consolidate the links between UCLG and its members in the region and shape the Agenda of Local and Regional Governments for the 21st Century, which will be the basis for the proposals for the future Habitat III Agenda that local and regional governments will present during the Second Assembly of Local and Regional Governments in Quito. 3. Why must cities be involved in the discussions on the international urban agenda? "Istanbul and many of the cities that are members of UCLG serve more citizens than some UN Member States. Our agenda is not one of large or small cities, but rather of proximity to the needs of our communities." These are phrases that the President of UCLG often repeats in international forums, and ones that guided his contributions to the International Panel that advised the UN Secretary General on the base report for the Agenda 2030 for Sustainable Development. Who better than local leaders to contribute to defining the Urban Agenda to be implemented over the next two decades? Many of the keys to the success of the future urban agenda fall within the daily tasks that cities have to deal with. We believe that the work of local governments on the ground is inherently linked to factors such as urban planning, economic development, budget adjustments and the provision of basic services, among others. Habitat III presents a challenge in terms of creating a connection with the reality in which communities live. We cannot leave it solely to national governments and the international community, far removed from the realities of citizens, to decide upon the key factors to ensure that in the future slums will no longer exist; to eliminate extreme poverty; so that citizens have access to basic services like water, sanitation, health and education; and in order to build a sustainable future. To do this, another type of participation is needed, one closer to the needs of communities: that of local and regional governments. We take into account that, as spaces of economic and productive innovation, cities provide opportunities to improve access to resources and services, as well as facilitate a range of options related to social, economic, cultural and environmental aspects. Urbanization represents our greatest challenge, but also a great opportunity for economic growth, development and prosperity for many urban areas; therefore it is important to seize this phenomenon and the potential that cities hold. Concepts such as human cities and the right to the city must form the backbone of the solutions to the global challenges of development and sustainability. Further, to make urban transformations possible, appropriate governance mechanisms and local financing must be established. To end the inequalities of tomorrow, local and regional governments must be provided with the necessary resources and legal powers today, so that they are able to meet the needs of citizens and facilitate the voices of the most vulnerable populations. Thus, cities play an extremely important role in the discussions on the international urban agenda and in the construction of a sustainable future. 4. How can networks of cities and other actors (civil society, the private sector, etc.) contribute to the construction of the new urban development agenda? Local and regional governments are already working to strengthen and expand our alliances with civil society, both at local and global level. We want to ensure that citizens have a voice in defining the cities of the future, and the future urban agenda. Only with a truly global association that includes all those involved in urban development can we ensure that programmes such as Habitat III and the Agenda 2030 for Sustainable Development are sustainable in the long‑term. How are we doing this? 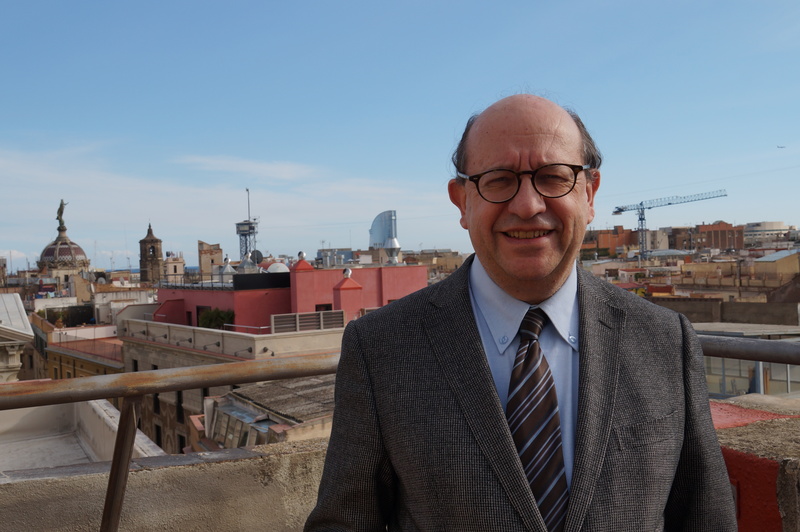 It is a lengthy task, but UCLG, as the most recognized generalist organization representing networks of local and regional governments, has begun work on a series of consultations to develop a Global Agenda of Local and Regional Governments for the 21st Century. We are convinced that the commitment of cities and the participation of citizens will be key to the success of the future global agenda; therefore we have begun carrying out consultations with our members and experts from across the world. The consultations aim to ensure that the future Global Agenda of Local and Regional Governments for the 21st Century addresses the concerns and priorities of our diverse membership. For this reason, its development is based on identifying issues that are of common interest to local governments, civil society and other interested stakeholders, in order to forge alliances towards the Habitat negotiations. Our intention is to continue facilitating the Global Taskforce of Local and Regional Governments (GTF), which brings together all the major networks of local and regional governments that work together to ensure joint representation towards the Agenda 2030 for Sustainable Development and Habitat III, and which will be present in Quito during the Habitat III Conference. In fact, the GTF is currently preparing for the Second World Assembly of Local and Regional Governments, to be hosted in Quito in 2016, within the framework of the Habitat III conference in October. The Assembly is intended to be a forum through which to present the joint concerns of local and regional governments with regard to the future urban agenda. The definition of a common agenda with civil society around the right to the city, inclusion and active citizen participation, will play a prominent role in this process and must be translated in the promotion of specific policies that are defined at the local level but framed in a new international governance architecture. Our challenge is for the statement defined by the World Assembly of Local and Regional Governments in Quito to reflect the joint priorities and visions of local leaders, in line with those of citizens and other stakeholders. 5. What are the expected outcomes? The success of the agenda will depend greatly on the implementation of the agenda at the local level. This is why the Global Taskforce is advocating for the ‘localization’ of the agenda. This involves developing disaggregated indicators to enable follow up of the Agenda at subnational level and resources to be dedicated to localities that are falling behind. Insufficient resources at local level was identified as one of the main weaknesses of the MDGs. It is essential that local governments have the necessary competencies and resources to carry out our responsibilities and to meet the needs of citizens. Further, with regard to the recognition of the key role that local and regional governments play, we hope that Habitat III will be constructed in the same spirit as Habitat II, the urban agenda signed in 1996 in Istanbul, in which local governments were recognized as one of the main partners of UN-Habitat in implementing the Habitat Agenda. UCLG hopes that a global agreement on the localization and implementation of the urban agenda, with a global monitoring mechanism in which all stakeholders, in particular local governments, are represented in decision-making processes, will be established. We also hope that urbanization ceases to be considered as an epiphenomenon in the global development agenda. To achieve this, we will need to overcome the notion that decisions on the global agenda should be taken exclusively by nation states. Further, a multilateral reflection that is not determined by national and domestic interests will need to be nurtured. A first step in this direction would be to allow the organizations of cities and territories that currently hold UN accreditation as NGOs specific accreditation as government entities. The Preparatory Committee of Jakarta in July 2016 will be a great opportunity in this regard.